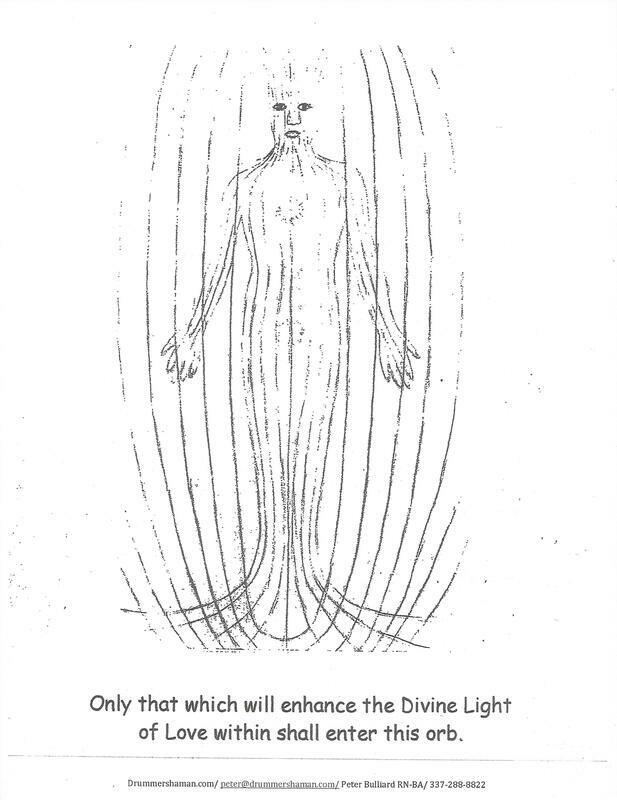 The Luminous Energy Field (LEF) flows is a geometric (Taurus) like pattern that flows from the ground up, through our bodies, out our crown chakras and back down in a continuous fashion. Note: Intention has a vibration that must be felt inside your body. When we have any feeling, it is a vibration that is carried in our breath. Therefore, we want to get the vibration of the intention out into the universe and speak it out loud, adamantly. With impeccable focus, tunnel vision, and total availability, meaning the mind focused solidly on the intention and nothing else, you would state the intention adamantly. Breath out forcefully, tap your thighs and you have sealed the deal!